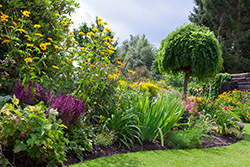 If you’re imagining a beautiful garden with lush perennials, colorful annuals, and shady trees, Coulter Gardens can help you make that happen. We are your one-stop shop for all kinds of garden supplies, décor, and so much more. From fertilizers to insecticides and from spades to seeds, we have it all. Best of all, our friendly planting experts are on hand to help you determine what your garden needs to thrive. By the time you’re done, you’ll have everything you need to make the oasis you’ve always dreamt of. Visit us today in Amarillo, TX, to see what we have and let’s start planting! Great Garden Supplies, Great Landscaping Help. When it comes to yard and lawn maintenance, Coulter Gardens has everything you need to bring your yard to life. Visit our store today to stock up on fertilizers, insect control products, garden tools, and all the other supplies you’ll need for the growing season. Ready to plant? 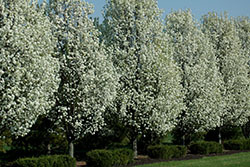 We have a huge stock of trees, flowers, and shrubs. We even have more permanent features for your yard available, including fountains, statuary, and playsets for the kids. However, the products on our shelves are only half of the story here at Coulter Gardens. The other half is our local planting experts. We can answer all of your questions and even offer some services to help you cross off a few items on your to-do list. Do you want to know what the best time to plant a rosebush is? Do you need some help with tree planting? We can take care of it all, so stop by today. At Coulter Gardens, something beautiful is always in bloom – from flowers in the spring to Christmas trees and Christmas lights in the winter. Let us help you turn your garden into the showplace you always knew it could be. Stop by today to get started!